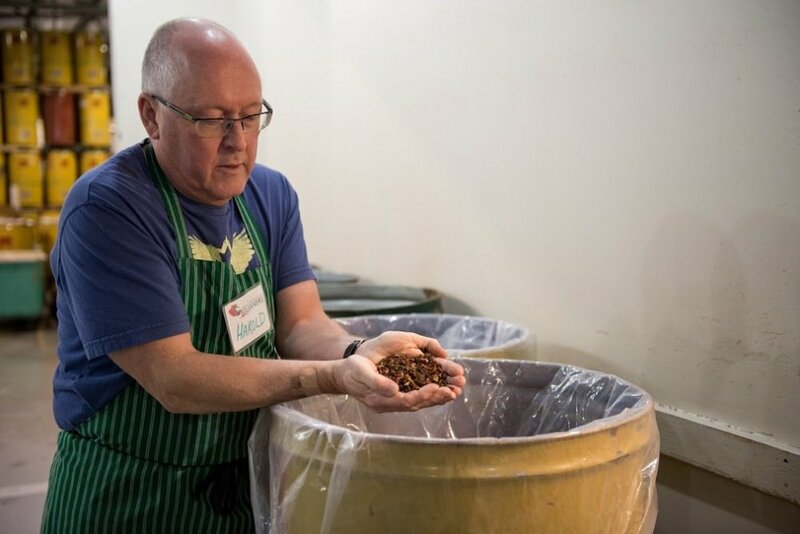 The North Okanagan Valley Gleaners Society was created in the summer of 2007 by a group of individuals who had become acutely aware of the problem of world hunger and the fact that the Okanagan valley is rich in food supplies. Much of our local food production unfortunately goes to waste. The desire to make use of these gleanings to feed the hungry in other countries convicted them to do something. Distribution is done by reputable and established Christian aid organizations who have partnered with us. A variety of vegetables are donated by growers to the Gleaners. This does not mean they are inedible but, for a variety of reasons such as being too large or malformed, they may not be suitable for sale in stores. Volunteers help with the cleaning, chopping, and preparation of the produce for the dehydration, as well as packaging the final product. 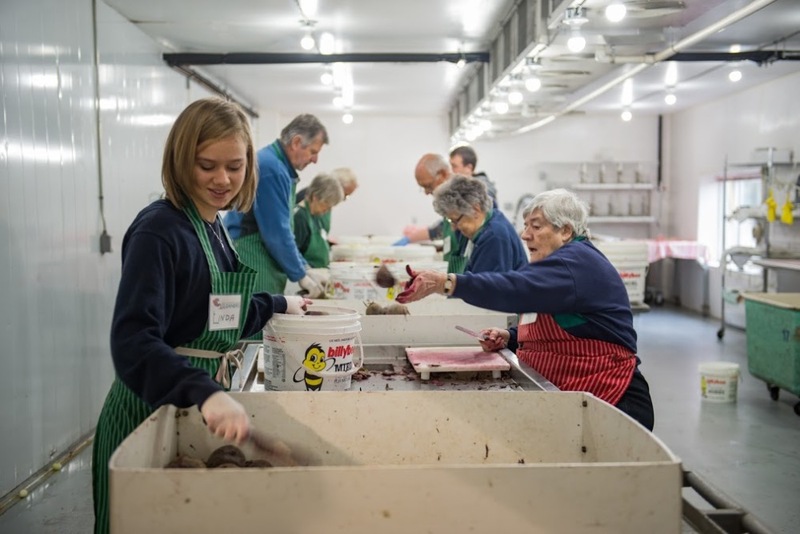 These volunteers may be seniors, members of local churches, groups from schools and clubs, or individuals and families from the local communities. Once per year stock is taken and a soup mix recipe is created from the ingredients on hand. The mix is packaged in 100-serving sealed bags, then packed into boxes ready for shipping. Apples are also dehydrated, packaged and shipped as nutritious snacks. Used medical equipment is the second major "gleaning" operation at NOVG. The North Okanagan Valley Gleaners receives donations of surplus and replaced medical care equiment and supplies from area hospitals, care facilities, and similar institutions. This can include beds, wheelchairs, lifts, examination tables, furniture, crutches, gowns, linens, and so on. Medical equipment is requested by well known and reputable mission organizations who, upon NOVG approval, arrange for pickup and shipment to locations around the world where the equipment is desperately needed. Gleaners used furniture and appliances store helps low income individuals and families within the local community. In addition all proceeds made are going into food and medical aid. Donated furniture and appliances should be in good, usable condition, clean and functioning. Pickup of furniture and appliances can be arranged. Drop-offs are welcome, but only if we've agreed to take your items and during the hours when the store is open.